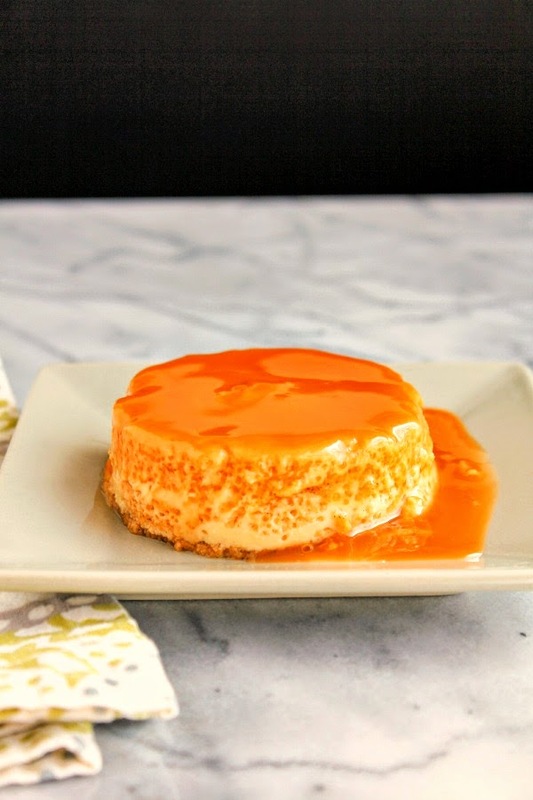 Smooth and silky pumpkin caramel flan is one decadent dessert that is easily made in your slow cooker! You all know how much I love my slow cooker. I rave about it all the time! I use mine year round, because I think it's perfect in the colder months for warm comfort food dishes, but it's also great during the summer so that you don't have to heat your whole kitchen up while cooking! 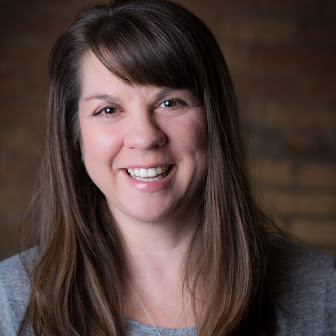 With all that said, you can imagine how thrilled I am to be a part of my friend Sarah Olson's Blog Tour for her brand new cookbook, "The Magical Slow Cooker: Recipes for Busy Moms." I pretty sure she wrote this book just for me! OK, I know that's not true, but she wrote this book for busy moms, and that's definitely me. Sarah created her blog, The Magical Slow Cooker, in January 2103, and her cookbook was just published this March. This cookbook is filled with delicious recipes for breakfast, dessert, party foods, and everything in between. 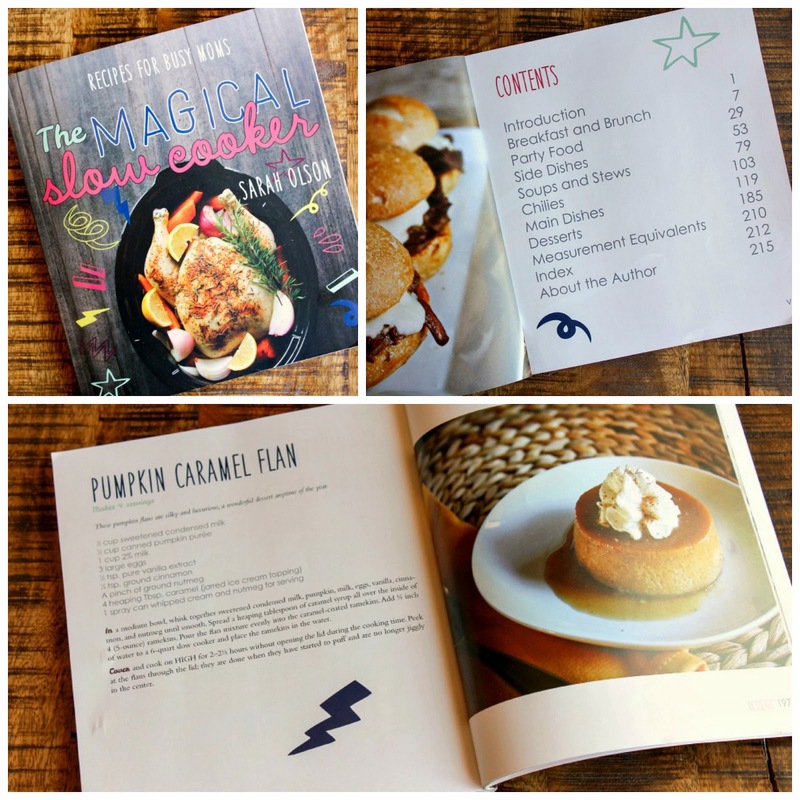 Every single recipe has a photo with it, and that's one of my absolute favorite parts about this cookbook! I love to see all of the delicious dishes right before my eyes. It took me quite some time before deciding on which recipe to make for this cookbook review. 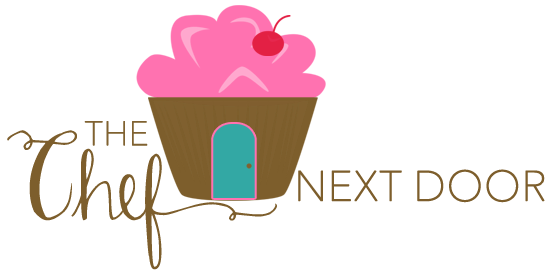 With so many amazing recipes to choose from, how could I choose just one? Well I managed to narrow it down to a few, and then I let my kids decide from there. Of course it's a dessert. I mean, my kids have a sweet tooth just like mine! 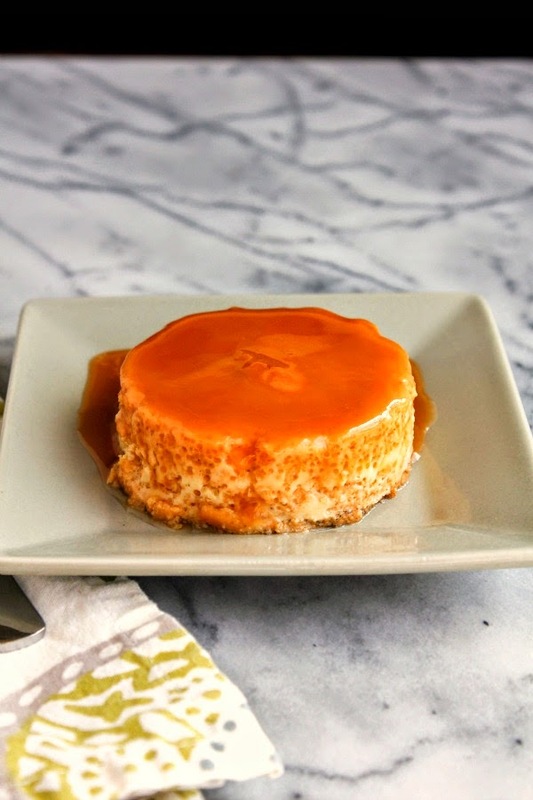 We chose the Pumpkin Caramel Flan and the recipe did not disappoint! It is such a simple recipe and I had all the ingredients needed in my frig and pantry. (Well, except for whipped cream...I didn't realize until afterwards that I forgot the whipped cream!) Anyway, this flan is simple but oh so creamy and delicious. I've already got many more pages in this cookbook marked because I plan to try them in the coming weeks. You can pick up a copy of this fabulous cookbook for yourself right here. So what are you waiting for? Order now! And while you're waiting for your copy to arrive, make this Pumpkin Caramel Flan. Trust me, it's amazing. In a medium bowl, whisk together the sweetened condensed milk, pumpkin, milk, eggs, vanilla, cinnamon and nutmeg. Spread a heaping tablespoon of caramel syrup all over the inside of 4 (5 ounce) ramekins. Pour the flan mixture evenly into the caramel-coated ramekins. Add 1/2 inch of water to a 6-quart slow cooker and place the ramekins in the water. Cover and cook on high for 2 to 2 1/2 hours without opening the lid during the cooking time. Peek at the flans through the lid; they are done when they have started to puff and are no longer jiggly in the center. Top with the whipped cream and nutmeg, if desired.